Not the most interesting post today, the technical details of Shimano Dura Ace Di2 vs Ultegra Di2. One reason for a post like this, is that I can spend ages googling details of different products, and before you know it hours have passed. However, when you come back to it a few days later, you can never seem to find the useful pages that you had a few days ago. Even now, I can’t re-find some pages I had on Saturday. Putting it in a blog, hopefully serves as a useful reference. Generally Google is very good, but if you’re searching something very specific like the weight of Dura Ace Di2 vs Ultegra Di2, you often don’t get what you are looking for, and many hours are wasted in a vain search. But, when I go to Trek Project One – bike builder to upgrade from Ultegra 9870 Di2 to Dura Ace 9700 Di2, it is an extra £1,970. For some reason – through Project One, they have made Dura Ace Di2, an extra £2,000. The problem is that £2,000 seems an awful lot of money for a groupset which is fairly similar to Ultegra apart from 300g, slightly more sleek design and greater flexibility in terms of shifting positions. Reviews suggest that the new Ultegra Di2 offers excellent shifting, with barely noticeable difference in quality of shifting with Dura Ace. Ultegra 6870 Di2 – around 2,680g – though I seem to remember seeing one lower. For the whole groupset (including non-mechanical groupset) Bike Radar say Ultegra 6870 Di2 is 2,680g for a complete group. This means Ultegra Di2 is roughly 440g heavier than Dura-Ace Di2. But, you can save some weight by swapping the non-mechanical parts like crankset, brakes and cassette. On our scale, the shifters are 57g heavier, the front derailleur is 43g heavier, and the rear derailleur is 49g heavier. Dura Ace Di2 offers multi-position gear changes, useful to TT bike, where you can have them on the ends of handlebars and end of tribars. Both Di2 are 11 speed and said to be non compatible with 10 speed (different chain width). This is annoying as 10 spd is more than enough; personally it means changing a lot of cassettes and then having a pressure to upgrade road bike to 11sp too. Companies are good at getting you to spend more on upgrading to new products, you don’t really need. 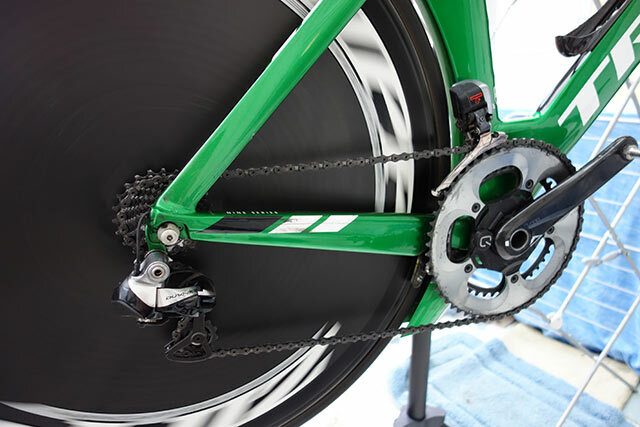 Note: I put a 10 speed 56 chain ring on my Dura Ace 11 speed and it works fine. Dear Shimano + Campangolo. Please – don’t bring out a 12 speed! we don’t need it. The good news is that the new Ultegra 6870 seems to be compatible with the new Dura Ace 9700 Di2. Hi, I agree it is very confusing. I had the old 10 speed Dura-ace 10 speed and have now changed bike and gone for the 11 speed Ultegra. All the new E-wire versions of Di2 are compatible with each other. The old 10 speed (E-wire) derailleurs and cassettes are compatible with the new shifters, etc. The shifters now are just a switch. The only thing that knows whether it is 10 speed or 11 speed is the rear derailleur. The multi position changes depend on the junction box. If you have the 3 way you will not be able to fit the TT shifters. You will need the 5 port junction box whether you go Dura-ace or Ultegra. Thanks for the write-up. This is much appreciated. I personally have tried the same bike with Dura Ace 9070 and Ultegra 6770 and could not tell the difference in shifting speed or quality. Both shifted flawlessly. Initially I was not in love with Di2, so I bought a Dura-Ace 9000 group. Unfortunately I don’t want to go back to mechanical, so that has been sitting in my closet. So, the ultegra 6780 will be compatible with the dura ace 11 speed as well? 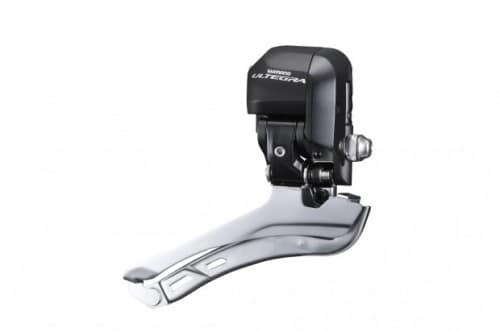 Can I use a dura ace 11 speed shifter set with the ultegra 11 derailleurs? Dura Ace and Ultegra are entirely interchangeable. In fact, they are also interchangeable with most of the new MBR XTR Di2. There’s one more difference between Di2 Shifters/Levers handles between Dura Ace and Ultegra. Dura Ace has hidden buttons on top that can be used to change the screen of a bike computer like Garmin. Ultegra simply doesnt have that.